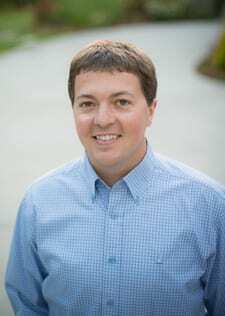 Dr. Kyle grew up in the South Sound area as the youngest son of Dr. Bob and Alice Hackney. Following in the footsteps of his older brother Travis, Kyle earned his Bachelor of Arts in Biology at Willamette University, and was accepted into the University of Washington School of Dentistry. Kyle was thrilled to attend UW as it offers one of the best dental programs in the United States, and Seattle is also the hometown of one of his best friends, his 94 year-old grandma Helen. Dr. Kyle joined Hackney Family Dentistry in 2008. Dr. Kyle sees most of our young patients and takes pride in making dental appointments easy and fun for the many children that we see in our practice. Dr. Kyle is a member of multiple local study clubs and served in 2015 as President of the Thurston-Mason Counties Dental Society. As President he helped form a policy which ensures charitable money raised within the dental society will be donated back to Mason County. In 2016 this action resulted in $1,000 being donated to Turning Point Domestic Violence Shelter. Dr. Kyle is passionate about being involved in the local Shelton community as a member of the Shelton Rotary Club where he is currently serving as President-Elect in 2016 and will become President of the Club in 2017. In 2009 Dr. Kyle married his longtime girlfriend Kelly. They met while studying at Willamette and continued to date as she completed her doctorate degree in Pharmacy at the University of Washington. Kelly is currently a Clinical Pharmacist in Oncology at Tacoma General Hospital. Kelly and Kyle now have two energetic boys Cason (3) and Grady (1) and a Golden Retriever Jackson (8). When not at work Dr. Kyle enjoys golfing, hiking, and fishing, and is an avid Seahawk and Husky fan.